Just recently on Facebook we hit the 6,000 Facebook Followers (we’re actually up to 6,500 now). I am in total shock – you all are amazing! 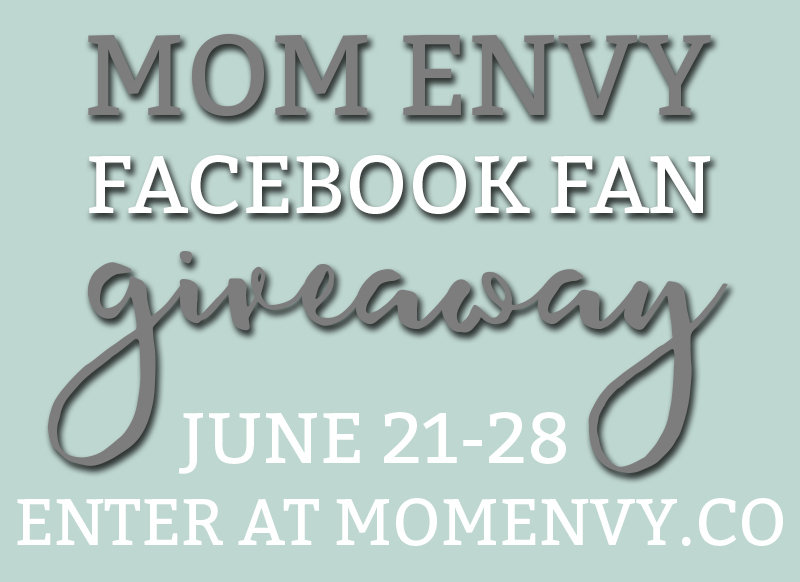 When I re-branded and started Mom Envy in April, I would have never expected to hit 6,500 Facebook followers so quickly. I wanted to do a giveaway to say THANK YOU! Watch the video below to find out what the big prize will be! Then, under the video you can find the rules for the giveaway and you can enter to win. There is only one mandatory task to enter. You must comment below in the comment section (under LEAVE A REPLY. It’s directly above my Instagram pictures at the bottom of the page) with what theme insert or free printable you’d like to see on the blog. That’s it! BONUS entries can be earned. 1 Entry each will be earned for each action listed (including Facebook like, following on Instagram, Pinterest, sharing the Pinterest, etc). The winners will be verified and announced here at Mom Envy on Friday, June 30, 2017. The Winner will be contacted through Facebook or E-mail (dependent upon how the winner logged-in to enter). Please contact Laura at Mom Envy if you have any questions or comments regarding the giveaway. Are you a planner lover? 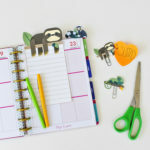 Check out these FREE planner printables I have up on the blog. Want to share the Giveaway? Pin it! Congratulations Mom Envy on a great milestone!! 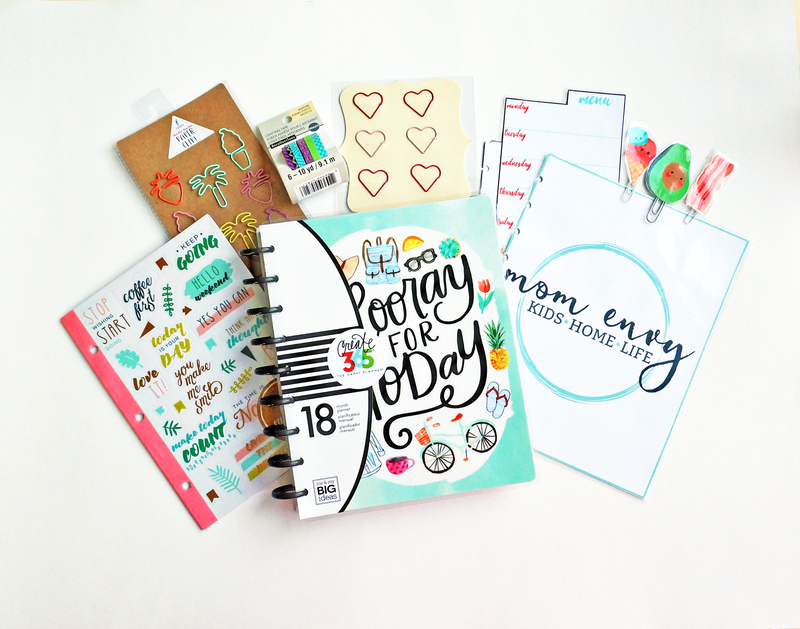 First of all – I am SOOO excited for this giveway; I love the planner and don’t have one! I would like to see rustic country themed printable (mason jars, rustic lanterns, books, etc). Thanks for creating such awesome content and keep up the good work! I love planners! I think I would love to see cute little owls. I can’t resist them on anything when I see them out and about. Congrats on hitting a big milestone! Planners are the best! It’d be great to see the adult coloring insert, it has mermaids! ?? I’ve been using a bullet journal but have been thinking about trying a happy planner. I like anything craft themed. I have a lot of craft spreads. I love planners! Unicorns or mermaids would be an awesome addition. Thanks for the chance. I love the planners. I am returning to the classroom after a long period of time. I would love the Star Wars addition. This planner looks awesome!! I would love a desert themed printable. Thanks for the opportunity! Oh my goodness!!! Thank you for the opportunity!! I am a total book nerd so something with books and quotes would be ah-ma-zing!!!!! Love this!! Would love a mermaid theme. I’d love to see anything geeky(Firefly) or sewing related. I don’t currently use a planner but this might be fun to try! Owls, or scorpions!!! My favorites!! ? Great video explaining the myriad of uses of a planner. I’d like to see Daisies. Carebears or Hello Kitty would be awesome! Congratulations and thank you for such a great site! I love a good planner! I am obsessed with organizing! I’d like to see Orange is the New Black stuff! I just started using the planner that allows me to write everything down for home and school. I would like to see baby animal, such as kittens or puppies. If the random picker could pick me, that would be greeeeaaatt. I need this! Congratulations on your milestone! if the planner was for me , I would want beach or coastal themed inserts. If I gave it to my daughter, I’d like Harry Potter or Anime inserts. 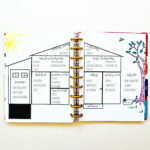 I like the thought of planning lists – projects to make, orders to do, gift ideas, grocery list. Anything Harry Potter themed. Owls are always cute! Congrats! I’m haven’t used a planner in years, so I don’t really know what type of insert or theme. I love Disney and Harry Potter and puppies, so anything like that would be right up my alley! 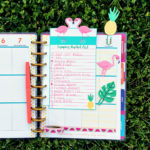 Hi i would love the opportunity for a free planner and supplies i am new to the happy planner. I just got the teacher planner and i would free things to add to it or print out. Oops, that should’ve said Chemistry!! Somethings that I would love to see are: mermaids, Harry Potter, sunflowers, and ladybugs!! ? I’d love to see a housekeeping tracker of some sort. Or something with hydrangeas! Thanks for such a great giveaway! Super excited. I would like to see some functional stickers for working moms with kids in school (as in like Don’t forget your freaking child it’s early release day) or some that are helpful for remembering busy schedules but not hourly. I would love to see a mental health tracker insert or free printable. Great giveaway! Would love to see a woodland critters theme. I would love to see a weekly house cleaning chart and daily chore list printable. Thanks for offering this giveaway and Congrats! Congrats on your milestone! I would love to se anything dog/pet related….trackers, medical info, etc. Thank you also for the giveaway! Love the products! Would be thrilled to win! Would love some grandkids stuff! This is so amazing! You are so sweet for offering the chance! Pineapples, back to school stuff!! I’d like some more home decor printables, as well as budget planner type tools. What a great giveaway! I would love to see cats and/or dragonfly themes!!! Unicorns or pineapples please!! ????? Congrats! I would love to see some Disney themed and stuff for planning a Disney trip! Congrats Laura! So awesome! I’d love to see a girly dinosaur theme ? Congratulations. Im e a newbie and looking forward to learning a lot from you! I’d love to see a black and white theme polka dots, houndstooth, stripes, lace look. Congratulations!!! I love the mountains so Id like to see a woodland them…. Pine trees, raccoons, tents, bears etc. Wow! Super sweet! I’d love to try one out. And oops! A Unicorn theme would be amazing. I would love to win the contest. I’m starting my first planer. I love all the themes I have seen. I especially like outdoors and wildlife themes. Thank you for this opportunity!!! This is a fun giveaway!! I’d love to see school Printable’s. I use those all the time! Hi and thanks you for the opportunity to win! I would love anything with turtles or elephants, or Disney themed! Hi and thanks you for the opportunity to win! I would love anything with turtles or elephants, or Disney themes! Would love a neutral theme! I would absolutely LOVE this! Would really help me keep track of my family & kiddos. Congratulations on reaching 6500!!!! Way to go. I’d love to see school themes that include the fine arts, like band, theater, academic bowl, etc. I can find some sports related items but music and honors related items would fit my planning better. Great giveaway!!! I would love to see a reading theme, like pictures of inside a library, books, bookshelves, etc. I would love to win the planner. I love the flamingo freebies you made. I Love this giveaway ! So nice of you ! I would love to see some Dachshund/ wiener dog themes. I love my Doxies ! I would love penguin themed anything! lol Thank you for the giveaway! Having two English Bulldogs I would love to see a theme for that. I would like to see a Curvy Girl theme of something faith-based! Yay! I would love to see boycotts, baseball, football, and weight watchers. Congratulations Laura. I love your page & your awesome ideas! Thank you for the chance . ? I love to see all of your wonderful ideas!! I would love to see some steampunk or Victorian themed items ! New discovery of your site, loving what I see. I look forward to exploring. Thank you! I would love an insert to list addresses. I am always hunting through old papers to find addresses each time I send out an invite for one of my 4 children’s birthday parties. Congrats on your success. I would love to see an appointment log. I use my planner to keep up with my special needs kids and my elderly parents appointments. Would love to win the planner and accessories are awesome. I would love to see some bakery inspired stickers. I am a home baker. I would love to see an insert with a wolf theme. I love wolves. Thanks for the giveaway. I would love to see campers. Scenes of the USA would be a cool the am, I think. Since its vacation time for a lot of people, how about a printable to pack efficiently? I’m currently obsessing over cacti for some reason. And anything Popsicle/ice cream/summer treat related. I also like the idea of a space theme. ? Maybe with astronauts and aliens since the only space I’ve seen has been galaxy types. Awesome giveaway ♡ thanks! I tend to seek Mermaids, Baby Hippos & Daisies lol for specific inserts I am looking for inserts to add to my happy planner for health and fitness. I love my happy planners and I love rainbows. 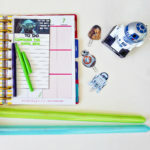 I’m new to the blog but LOVE your content and the printables! Thanks for the giveaway. I haven’t seen those Target planner stickers, sweet. What a wonderful giveaway! Thank you so much for sharing! Congrats on your amazing milestone – keep up the great work! I would love to see something functional for Dental students like me. Have a little cartoon dentist with scrubs and different dental related icons. Thanks for this giveaway! ? This is sooooo lovely! Thanks for all your freebies and cool posts! I just LOVE LOVE LOVE the flamingos!!! I would also like to see some unicorns (my second favorite). Thanks!!!! Theme, or marine life, and a budget tracker. ?